From Bath & Body Works, a limited edition of their popular Japanese Cherry Blossom designed by Established NYC. 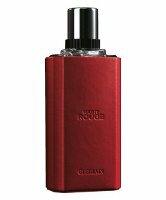 $34.50 for 75 ml Eau de Toilette at Bath & Body Works. Moving a bit up the price scale, the 2011 limited edition for women from Lalique. 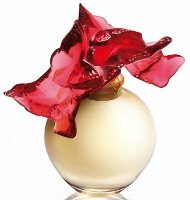 This year's model features butterflies landing on poppy flowers, and as always contains the fragrance Lalique de Lalique. $1500 on backorder at Neiman Marcus. From Annick Goutal, a collector bottle of Eau d'Hadrien: "For the 30th anniversary of the House, Camille Goutal creates for Eau d'Hadrien, its mythical fragrance, a special collector bottle, in limited edition. Adorned with precious pendants, symbolic of the House and beautifully engraved medallions designed by renowned jeweler Arthus Bertrand, the ribbed bottle becomes jewel." 108€ at Annick Goutal. That Shalimar bottle is spectacular. I don’t know why, but I’m not feeling the love. Me neither…maybe it doesn’t photograph well..
do they sell B&BW in the UK? I just a look thru them now, and the ones I want are Flowerbomb le Paris(or whatever it’s called, the Paris one anyway). the wax logo on the side isn’t black, it’s pink. I have the refillable Flowerbomb and the wax logo is pink. so I wonder if the Paris one is. I don’t think they sell it in the UK, but I don’t really know. I want that 20 ml Balenciaga bottle too! ah, we have Lush anyway and Bodyshop. Is it the classic Shalimar or is Forreau de Soir a flanker? reusable leather case… but reusable for WHAT? when you finish this bottle of Habit Rouge, you are obviously going to buy another bottle of Habit Rouge. so you take the empty bottle out of the leather case and put the new one in. 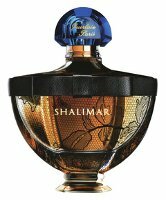 Now if only Shalimar smelled as great on me as it does on everyone else…sigh – bottle envy! I’m not a huge fan of pendants on perfume bottles, which seems to be a thing. It must be something along the lines of evening gown / evening robe. Congratulations, Lalique, way to make Xerjoff look cheap! I think one can buy maybe three of their bottles for that price. OOOOooooh! I like the way you think! I concur with the Amouages and the SL bell jar notion. . .I think I would add a few OJ bottles in parfum concentration. Maybe I’d finally be brave enough to invest in some lovely body creams, too. I hear the Amouage ones are quite decadent! I can’t decide on the Lalique bottle — pretty, but also looks like crumpled paper?